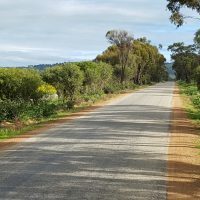 Tomorrow, Saturday 13th October, we continue the revival of the famous old race along the same format as our recent outing.s A 114km Handicap race, starting and finishing in the charming Wheatbelt town of Beverley – a quick one and a bit hours East of Perth. 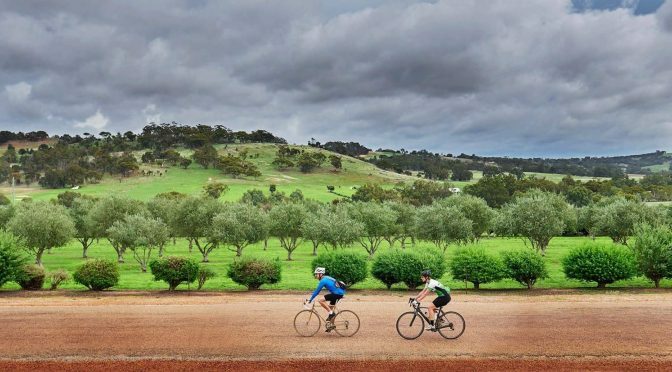 Rolling over undulating terrain, riders travel through rural views gently uphill, into shaded bushland of Wandoo National Park. The turnaround on to the return run sees a fast flowing lightly downhill run. The handicap format encourages groups to work well together over the parcours. 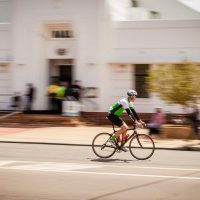 The racing climaxes in the short rise on the approach to Lenard Rd with 4km to go– the first rider to crest holds the advantage in a fast run into the line. In the past two years we were graced with multiple Track World Champions and local legends Cameron Meyer and Michael Freiberg as our winner and runner up in a cracking sprint finish. We saw biblical weather conditions first year with rain wind and hail (!! ), then 30+ degrees for last years’ edition. Thankfully tomorrow looks quite the middle ground! This is a big day for SPR, but it’s also a massive weekend of cycling. There is The Beverley, Retro Bike show and Cyclocross racing on Saturday, then the Beverley Heroic rides on Sunday. Make a weekend of it and come and stay overnight. 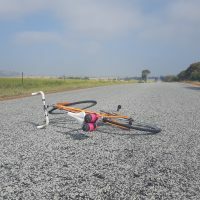 An entire weekend ALL ABOUT BIKES AND RIDING – how good is that? To the more than 50 SPR and Dome racers (yep, half the entire field) turning out tomorrow, best of luck. To The Poster Girl, welcome back to Perth, Mate! To those same hardy volunteers that pitch in event after event – thank you. YOU make this possible. Heroic we will be. See you all tomorrow.